This part of IEC 60512, when required by the detail (product) specification, is used for testing connectors within the scope of technical committee 48. It may also be used for similar devices when specified in a detail (product) specification. 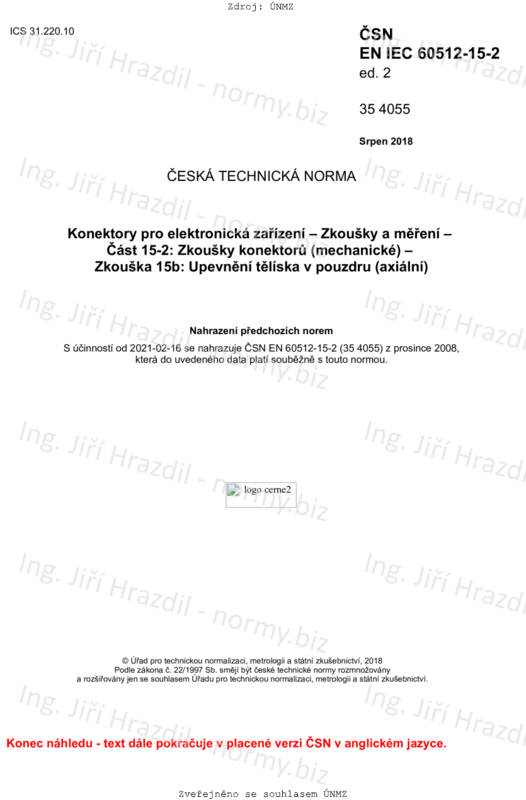 The object of this document is to detail a standard test method to assess the effectiveness of the retaining system of a connector insert within a connector housing to withstand axial forces likely to be encountered during normal use, i.e. the highest insertion and withdrawal forces into/from a mating counterpart, without the connector insert being dislodged from the connector housing.